So this horn, what’s it all about? Rhino horn is made of keratin. What’s that you say? Look down at the tips of your fingers (or toes if you’d prefer) and (hopefully) you will be looking at some keratin. Some of you may need to remove nail varnish before you can give your keratin a really good inspection. 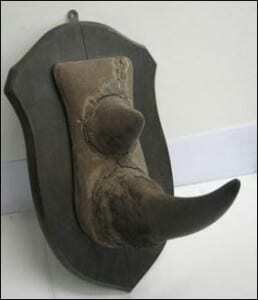 Yes rhino horn is made of the same stuff as finger nails. 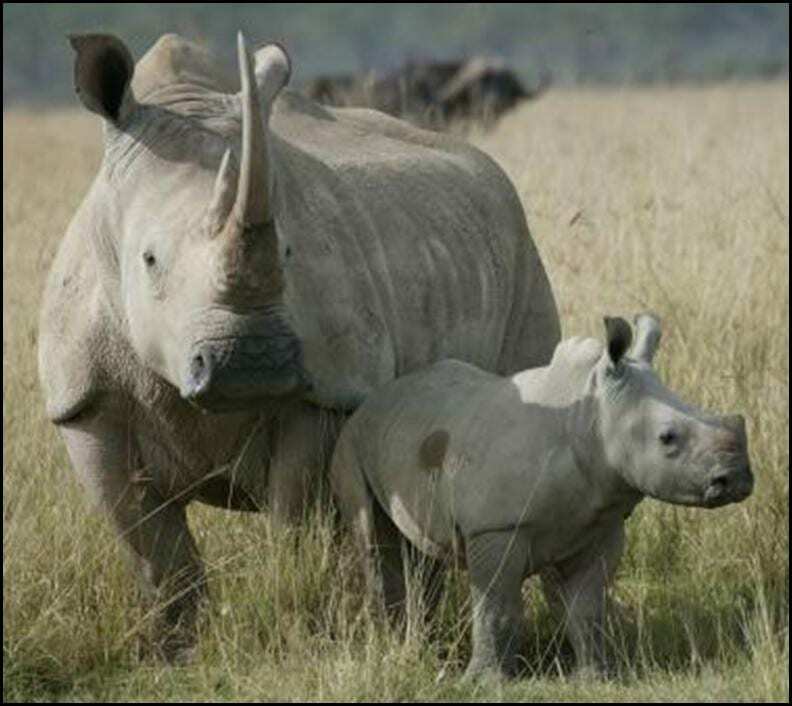 1) Repeated scientific tests have shown that rhino horn has absolutely no medicinal value. It cures diddly squish. In fact, recent results have suggested that rhino horn is even bad for your health. 2) Wild rhino numbers are being decimated to fuel this black market and horns are often taken in the most barbaric of ways. As a result of poaching, three of the five rhino subspecies are critically endangered. The other two are listed as vulnerable and near threatened. Here comes the part that throws the sad reality of the situation into a mixing pot with a bizarre crime/thriller novel. With rhino numbers drastically decreasing in the wild, black market dealers are turning their attention to rhino horns kept by antique dealers, auction houses and museums. Subsequently, 22 thefts have occurred throughout Europe in the last six months, and on occasion have been accompanied by the use of tear gas and gun wielding. Not exaggerating. Better to steal from a museum than to kill a living rhino of course (though neither are desirable, especially any scenario that involves being held up at gunpoint which I’ve tried and don’t recommend), but unfortunately, up until the early 20th Century, health and safety was really yet to evolve as a department and specimens such as rhino horns were soaked in arsenic and regularly coated in DDT to keep away pests. DDT and arsenic, for those of you who slept your way through chemistry at school, are both very dangerous, poisonous substances that most importantly, maintain their potency over time. 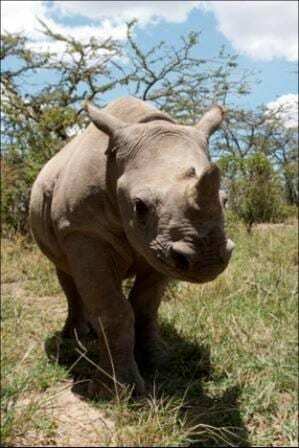 The Acting Director of Save the Rhino International, Lucy Boddam-Whetham, said recently “Experts agree we are facing the worst rhino poaching crisis in decades”. Now, to add insult to grotesque injury, not only are we facing the loss of a remarkable animal but we are also going to lose our cultural heritage, and specimens that serve as important teaching aids and conservation props that help us spread the word of the rhino’s plight. Yes that does works, I’ve seen it in action. Plus of course, if you’re eating arsenic coated rhino remedies in China, you’ll probably be losing your health as well. 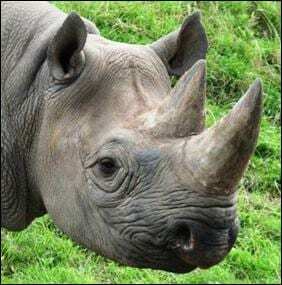 I suppose there is a bright side – maybe a few dozen well publicised poisoning cases as a result of snorting rhino horn will help curb the demand! I wonder what the symptoms of diddly squish might be …? Or is that just the sound of an evil rhino horn collector being trampled into the mud by a retributionary herd? You’re right! Clearly the solution is to gather up all the rhinos in the wild and coat their horns with an irremovable substance that is conveniently harmless to rhinos but *uber* poisonous to humans. Excellent! Any suggestions? Fortunately they only managed to make off with two plastic fakes. 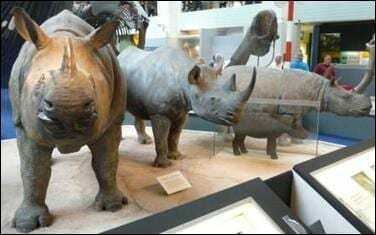 Didn’t stop them destroying the cases and damaging the taxidermy rhinos though. I could not agree with you more Emily. It is shocking how they are treated and the extent that they are being decimated. Two subspecies of rhino went extinct at the end of last year due to poachers and for a medicine that doesn’t cure anything. There are no words to describe how sad that is.